My project Titanic: An Unforgettable Canadian Story explores Canada's connection to the Titanic sinking and the role we played in the aftermath of the disaster. The most interesting thing about my topic was how the recovery mission was executed. It really personalized and dramatized the tragic nature of this historic disaster. 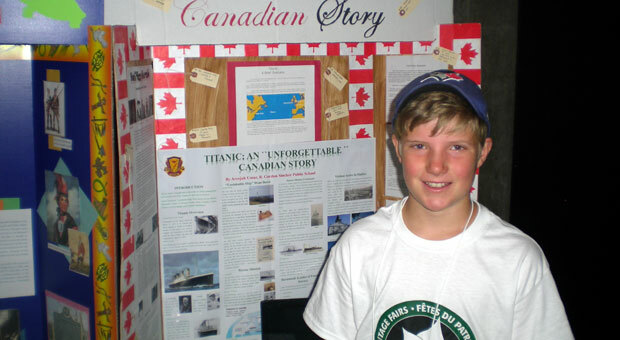 I learned that Canadians have played a critical role in many historical events. I also learned that as humans we naturally overestimate our safety and place too much confidence in technologies abilities. We live in a world that is safe, secure and has many advanced technologies, whereas in 1912 the Industrial Revolution was ending and people were willing to take risks with the hope of improving the quality of their lives.